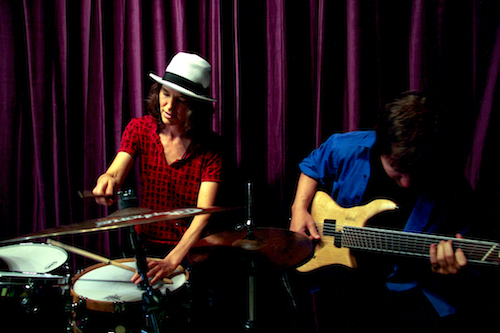 With just two musicians creating a trio-sized mix of drum set and 7-string guitar/bass, the PLANET LOOP DUO is a unique sound not to be missed. Hailing from the San Francisco Bay Area, the duo forges its own brand of global-funk-jazz, combining a jazz aesthetic with the deep rhythms of swing, worldbeat, Latin, funk, and soul music. Frequently a third performer covering sax, violin AND trumpet shares the stage to form the “PLANET LOOP TRIO,” known as the "trio that sounds like a sextet." The project is the most recent brainchild of longtime collaborators Carrie Jahde (drums) and Michael Schaller (7-string guitar/bass). The two have collectively performed on stages spanning all corners of the United States, Europe and Latin America. Having played and released records together for more than a decade in numerous configurations, the duo takes spontaneous musical communication to an entirely new level. 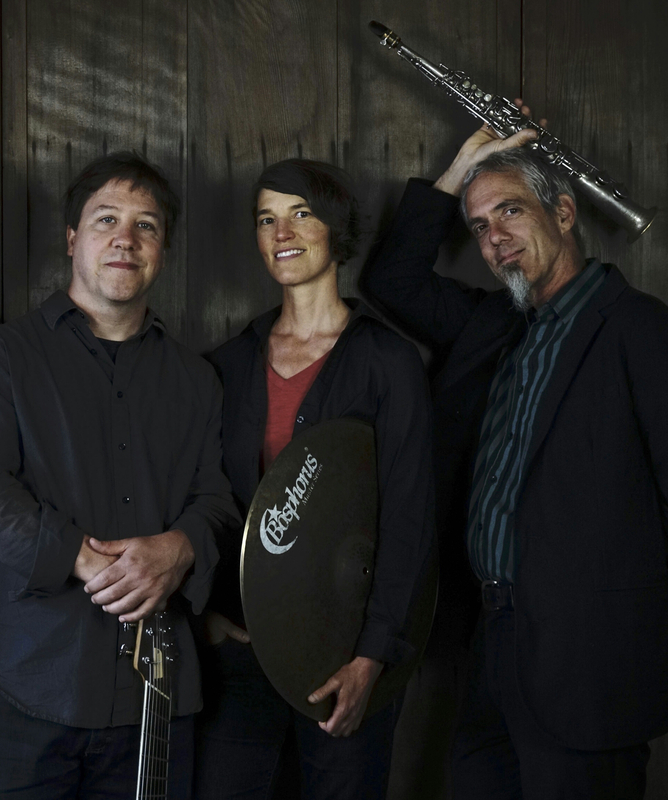 When performing as the PLANET LOOP TRIO, the group includes multi-instrumentalist Jeff Hobbs, a top-call veteran of the San Francisco music scene who is equally at home on the alto sax, violin, and trumpet. 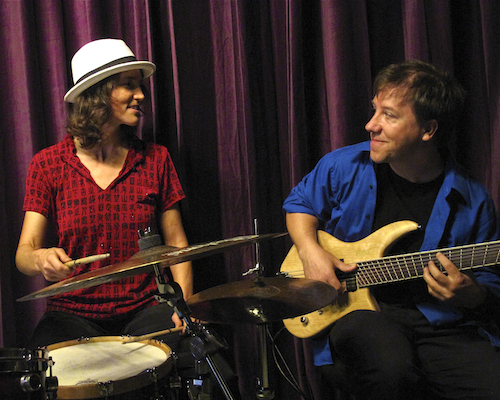 Many of PLANET LOOP’s songs draw from their background as improvisational jazz players, and from their large variety of musical influences from around the globe. Mixed in with original compositions you'll find songs by Miles Davis, the Meters, John Scofield, Jimi Hendrix, and Jimmy Smith, to name a few. “Visit PLANET LOOP and you’ll want to live there,” urges Malcom Miles of KZUM radio. But most likely, PLANET LOOP will visit you first. Since 2007, they have relentlessly spread their sounds across both US coasts and between, including tours across the US and throughout the west coast, and regular San Francisco Bay Area festival and venue residencies. ENJOY YOUR STAY, PLANET LOOP’s first full-length studio album, was released as their duo feature, and placed as a finalist in the Fame Game Effigy Awards. PLANET LOOP'S second "triple trio" studio album, CUBED, continues to receive radio and Internet attention throughout the country. PLANET LOOP'S new studio album, MAY YOU LIVE IN INTERESTING TIMES, features half of the tracks with the core duo and half of the tracks adding trio member Jeff Hobbs. Song samples, press photos and a current tour schedule can be found online at www.planetloopmusic.com.